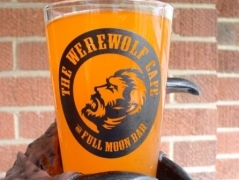 The Werewolf Cafe and Full Moon Bar now has it's own pint glass! This pint glass has logos on both sides! These pint glasses were made in a very limited run, so if you are interested in any, please drop us an email, as they are not made by our suppliers at our Cafe Press store. 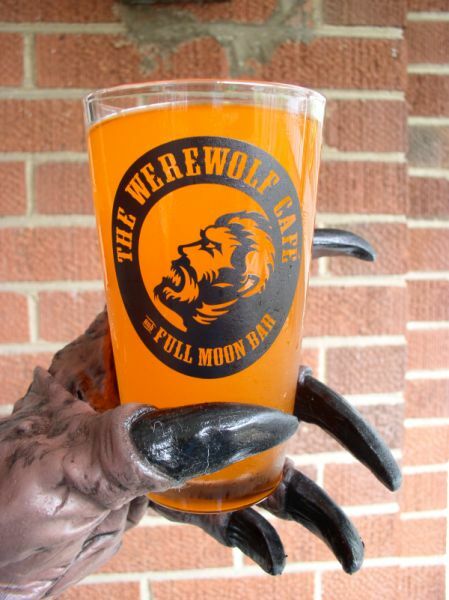 Cool and unusual looking shot glasses are currently being worked on and may be ready for the next full moon, you'll dig those, they are going to be very sweet looking glasses if our art specifications can be met. Gregg T. for all his hard work in designing and maintaining this web site. Jason W. for his work on the logo for this site. Sean Francis for his emails and his support from his website called "Darkness in the News."